The borough of Redditch has districts ranging from modern new towns to more traditional villages. Further, whichever of these districts you want me to work in, whatever the type of location, I’ll provide my leather, upholstery, rug and carpet cleaning services. The Worcestershire town of Redditch is right on my door-step. In fact, it’s just a short drive from my headquarters in Studley. What’s more, in no time at all, I can at your place of work or in your home, restore your rugs, carpets or furniture to their former glory. 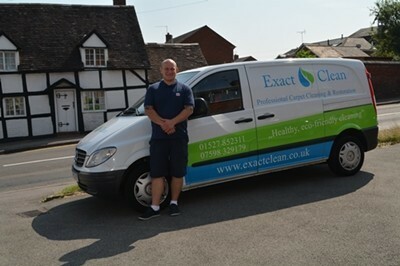 Carpet Cleaner Redditch. Whatever the location, your home, a shop, a school, or an office, I am your local Redditch upholstery and carpet cleaner. I have decades of experience and know-how about cleaning soft materials. Moreover I use only the latest equipment and the most efficient cleaning agents available. Once my work is finished, your carpets, rugs and upholstery will be bright, fresh and dry, in just a few hours. With Exact Clean, I don’t just give you unbeatable expertise and levels of service. I also offer unrivaled value, with prices that are affordable. Whether you’re at home or in your business, you’ll understand the importance of first impressions. Did you know – when people step into a building or a room, the first thing they notice is the floor? And of course, like it or not, a client arriving at your office or a visitor calling on you at home will be judging you. It’s natural. It happens all the time. Which is exactly why clean, fresh-looking, well-groomed carpets matter so much. So – who are my clients? 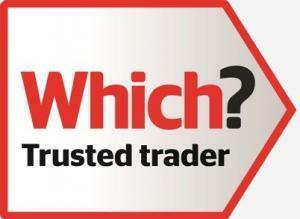 Probably anyone who cares about their leather, rugs, carpets and upholstery. They are people who run offices, who look after schools or care homes, who own shops or cafes. People who have homes. In fact, people like you. An associate member of the National Carpet Cleaners Association serving Redditch with years of industry knowledge and experience. Therefore I know how to clean, what equipment to use and which cleaning agents work and which ones won’t. Furthermore I understand which carpet cleaning agents will be good for your carpet and good for the environment. In short, I offer a premium quality cleaning service at an affordable price. I’ve designed this website to give you as much useful information as I can about our carpet and upholstery cleaning services. Of course if there’s anything I’ve left out or anything more you’d like to know, then please do get in touch. 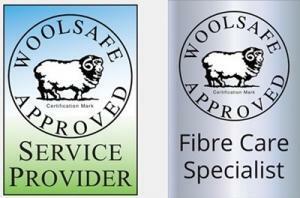 You can call me on 01527 852311 or 07598 329179. My quotes are obligation free.